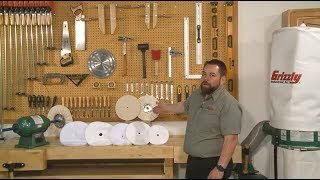 These buffing wheels are made for final finishing. Domet flannel is the softest buffing wheel available and is particularly important where an absolute scratch-free finish is important. The airway design keeps the object being buffed cool. Used by numerous guitar manufacturers for final buffing on nitrocellulose lacquer finishes. These Domet flannel wheels are seamless and top of the line. 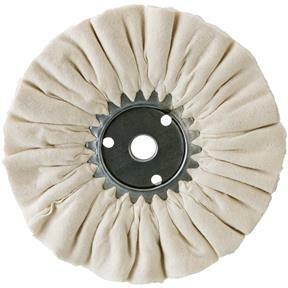 10" x 7/8" x 16 Ply Domet Flannel Buff Wheel, 3200 RPM. I purchased eight of these to use on my grizzly buffer the size difference between each one of these is inconsistent enough that it is impossible to do a good buff with them.if you want to use two bonnets at a time you might get lucky and find two out of eight that match in diameter..